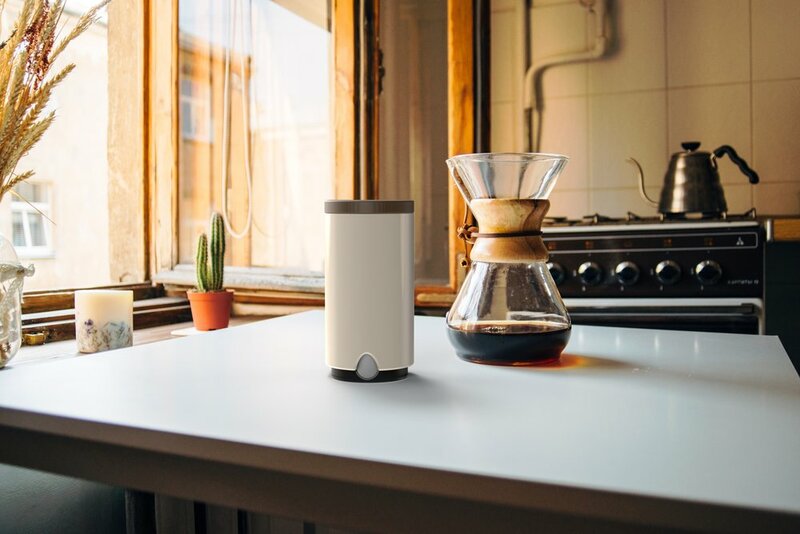 Uovo is a interactive coffee canister that brings back ritual and appreciation to coffee preparation. The coffee canister involves twisting and turning to create a ritual when preparing the coffee. The actions create a muscle memory that ties the user to the coffee making process. When was the last time you actually paid attention when making food? With the decrease in knowledge of where food products originate from, people are increasingly disconnected from their food. This coupled with a frozen meal and instant coffee world, people often go on “auto pilot” when preparing food items. We wanted to bring back ritual and appreciation back to food prep. Cooking at home is becoming less of an occurrence. 53% of millennials eat out at least once per week, and often times spend less than 20 minutes a day on food preparation. While millennials do not cook as much, they do consume coffee at a high rate. Millennials are responsible for consuming 44% of the coffee in the United States. We wanted to create a coffee canister that created an experience that would be appreciated by millennials’ nostalgic nature. By creating a ritual in the kitchen, there would be more of an appreciation for the coffee bean and the steps required to make coffee in the morning. We explored how the canister would open, and how kinetic elements could be employed to add an interactive quality to the experience of using the canister. The experience of the canister was carefully considered, because this could be one of the first objects that someone holds in their morning routine. The 3D form exploration focused heavily on texture development, and how the forms fit in someone’s hands. It was important that the canister was easy to hold and use, because people would be handling this on an everyday basis. When creating the 3D forms, we began considering material selection for the canister. 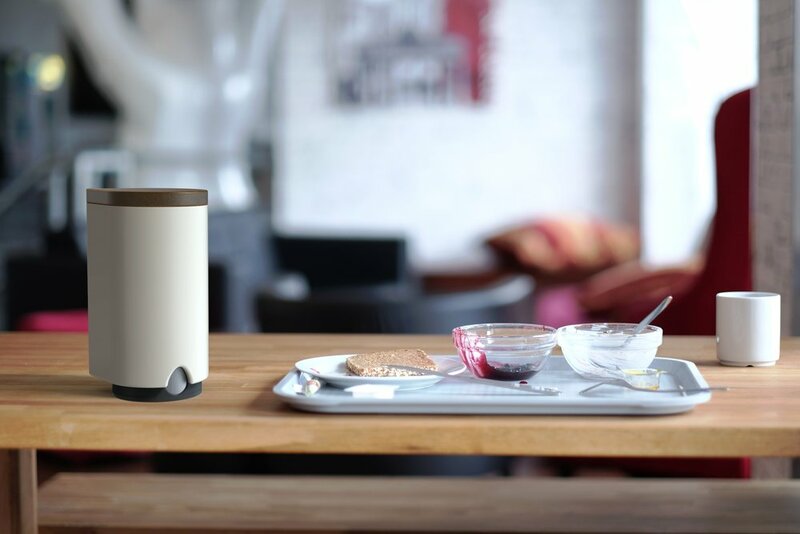 Uovo is an interactive coffee canister that stores coffee beans. It measures out the perfect amount of coffee beans, depending on how many cups of coffee you wish to make. The canister is airtight, to preserve the beans for optimal brewing. The coffee canister involves twisting and turning to create a ritual when preparing the coffee. The actions create a muscle memory that ties the user to the coffee making process. The base of the coffee canister is twisted to line the cup measurements up with the cut out insert on the canister. The bottom of the canister is then pulled to the desired measurement, in cups of coffee. The canister is then turned upside down, and the lid swivels open to deposit the coffee beans. The materials age over time, gradually changing with use and becoming personalized to the user. The wood, ceramic, and metal were selected to age over time and add to the appreciation of coffee. The movement adds an element of ritual to coffee making. Nothing is wrong with loading an instant coffee pod into a single cup brewer, but there is little thought or ritual involved. In an instant coffee world, uovo adds appreciation to the process and appreciation to the ingredients.